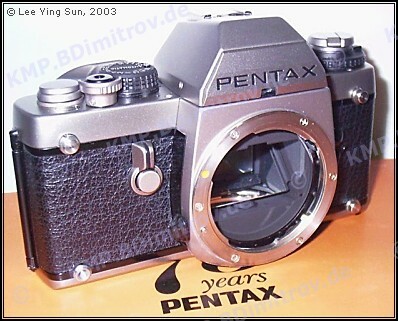 During its long production rung, the Pentax LX was updated at least three times. 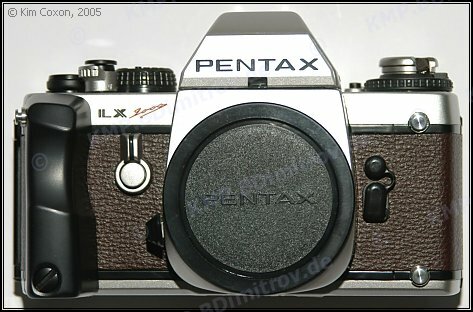 The latest camera revision has three visible differences compared to the earliest: there are two white points missing on the front of the first shutter curtain; pressing the button that releases the viewfinder causes the light meter to turn on, and the shutter-lock switch features a new design. Severals attempts to gather information about camera serial numbers and design variations have failed due to inconclusive data. The titanium LX is a special edition body celebrating the 75th anniversary of Asahi Opt. Co. Only one thousand of these bodies were manufactured. Each one features titanium top and bottom plates. The LX limited is a special edition body celebrating 15 years of LX production. 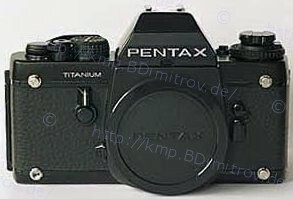 The body features a titanium top and bottom plates which are painted in black, and carries the inscription “titanium”. The LX 2000 is a special edition body celebrating LX production in the year 2000. 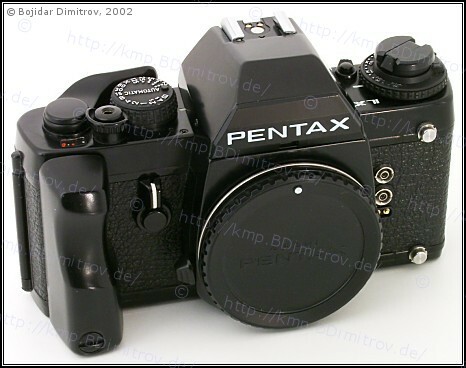 The body was sold in a set with the SMC-A 50/1.2 Special lens. This body comes with the FF-60 viewing scren, and not with the “standard” SC-21. Contrarary to expectations, with increasing age even the newest-design LX bodies develop the “sticky-mirror syndrome.” Regardless, like discussed here, the LX is still a very desirable camera to own, and certainly worth having cleaned-up, adjusted or repaired.